Tom Green is a Canadian actor, rapper, writer, comedian, producer, director, talk show host, and media personality. 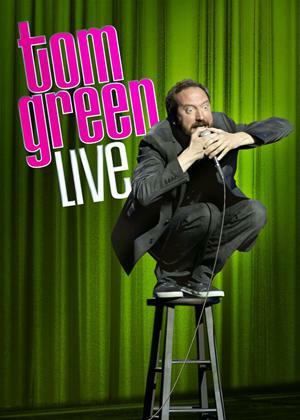 Best known for his ground-breaking brand of comedy, Green found mainstream prominence via his MTV television show The Tom Green Show. Green was also in the public eye for his short-lived marriage to actress Drew Barrymore, and for his roles in such films as Freddy Got Fingered, Road Trip, Stealing Harvard and Charlie`s Angels. MTV`s The Tom Green Show broke new ground with its insane video pranks and skits. Now the star of Road Trip and Freddy Got Fingered brings his outrageous energy and irreverent wit to the stage in his first stand-up comedy special. The trailblazing host of the long-running Internet talk show Tom Green s House Tonight hilariously rants and raves about how truly weird life can be. Nothing is off limits: Testicular cancer? Yup! What s it like to hang with Donald Trump? Yup! If you ve got a medical condition that warns against laughing, call for an ambulance.